Home › Flooring › Does the thickness of my wood flooring matter? Does the thickness of my wood flooring matter? When installing new hardwood floors in your home one of the things you need to take into consideration is the thickness of the planks. In the past, most wood floors were sold in 3/4″ thickness; however as more durable floors appear on the market (like strand woven bamboo), the thickness of the planks has become less important. In this article we discuss some of the pros and cons of thin versus thick planks. With traditional hardwoods that have to be refinished every ten years, a thicker plank can be refinished more times, and this can be a major factor in the longevity of a floor. However, thickness doesn’t provide much of an advantage with , which only has to be refinished about every 50 years in normal residential conditions. 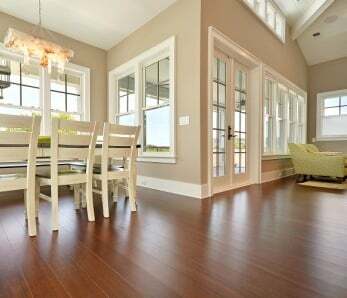 Thicker planks don’t offer increased resistance to impacts when objects are dropped, much like classic hardwood floors. However, because of their thickness they can be sanded down and refinished more often which means your floors will last for many more years than floors made from thinner planks. There are several drawbacks of thick flooring planks: they’re more expensive, not eco-friendly, and they raise the height of your floor resulting in less space. The thicker the plank, the more material is used and the higher the price. When comparing traditional wood floors, it has to be mentioned that thicker floors will last longer and be refinished more often, so they do save on the expense of new flooring installation. But if low longevity and affordability are your top priorities, we always recommend . 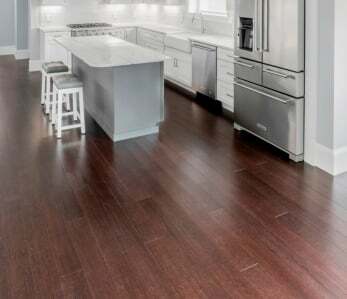 Additionally, thicker flooring planks require that more trees need to be cut down to make them, which is completely avoidable now with so many eco-friendly floor products available in the market. 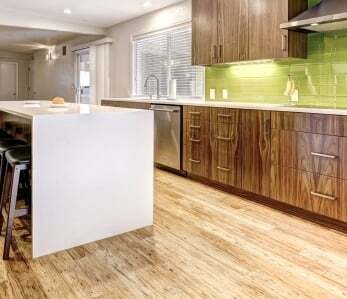 Thinner planks cost less and are a good option for homeowners looking to save on their renovation project or re-direct their dollars towards other upgrades. Most flooring companies provide the same warranties on their thin planks as they do on their thick planks. And thin flooring planks perform the same as their thicker counterparts; after all, once the flooring is laid down, there is no way to tell how thick a flooring plank is. Thinner planks are easier to carry, cut and you can use a variety of tools to do it such as a rotary cutting tool or a handheld cutting tool. Because cutting is easier – thinner planks offer the installer more decorative options as far as designing the layout. By installing thin planks you will gain more “head room” in your space by dropping the height of your flooring surface. 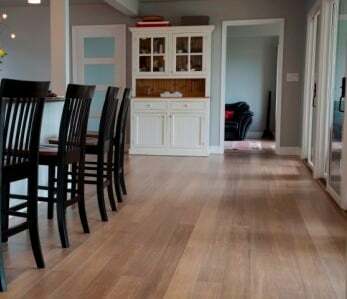 Thinner planks are much more friendly to the environment than thick flooring planks, simply because so much less raw material is used to create them. 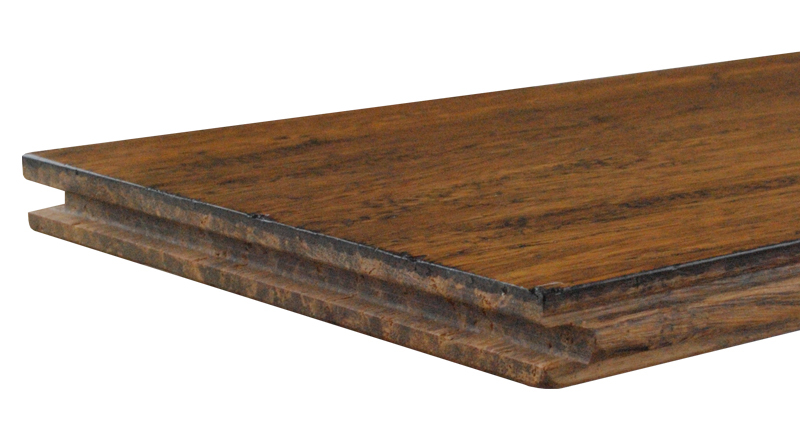 Not only can you get more planks out of fewer resources, the shipping costs and carbon footprint in the transportation are reduced drastically per plank because thin planks are considerably lighter than their thicker counterparts. Thinner planks have slightly lower sound insulation resistance than thicker planks do, and they are more flexible, which means that they may exhibit slightly more flexion if installed over sub-floors that aren’t level. That being said, a level sub-floor is always crucial to attain before installing any hardwood or tile flooring. As you can see, both thin and thick flooring planks have their pros and cons and either one may work well in your home. 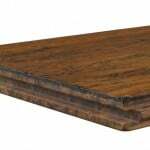 The most important things to consider when selecting planks thickness are your sub-floor and your budget. Got any bamboo flooring questions? We’d be happy to help you select the right floor for your home. We need thin cork flooring to prevent any stepping hazards between kitchen and dining area. What is the thinnest cork available? Hi Lisa! 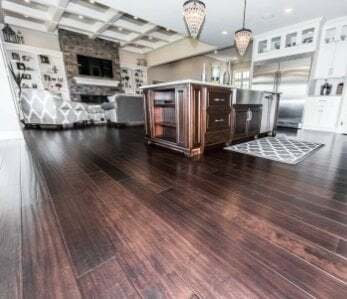 We can’t help you out too much on this one, because we specialize mainly in , however a quick search of the web shows that some of the thinner cork flooring products are available with a thickness of 3.2 mm which translates to just over 1/8″ thick. Hope that helps and good luck with your project!